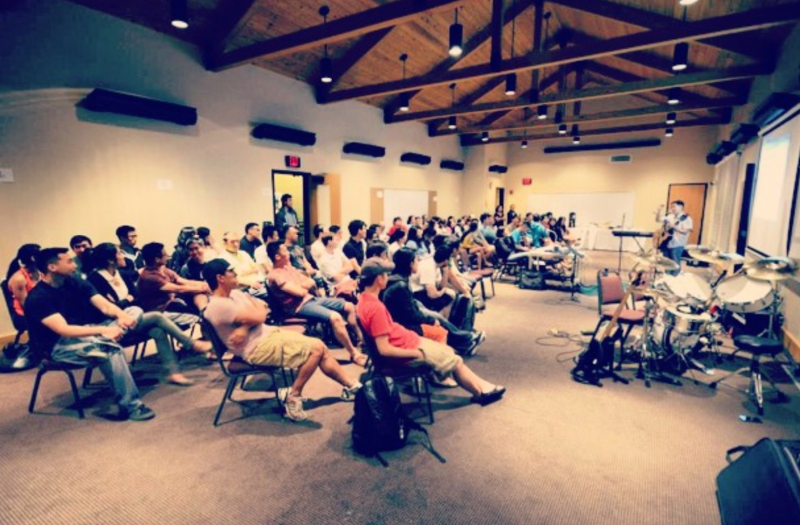 The retreat is finally here! Please read on for helpful information concerning the retreat. Come join us at the retreat on Sunday morning! We will be concluding the retreat with a communion service at 9:15 AM on Sunday. Find a Bible-believing, Jesus-preaching church to visit. HOW DO I GET THERE?Our retreat will be on the beautiful campus of George Williams College located at 350 Constance Blvd. Williams Bay, WI. Please plan on arriving by registration (7:30 – 8:30 PM). * Please keep in mind that heavy traffic may increase travel time. 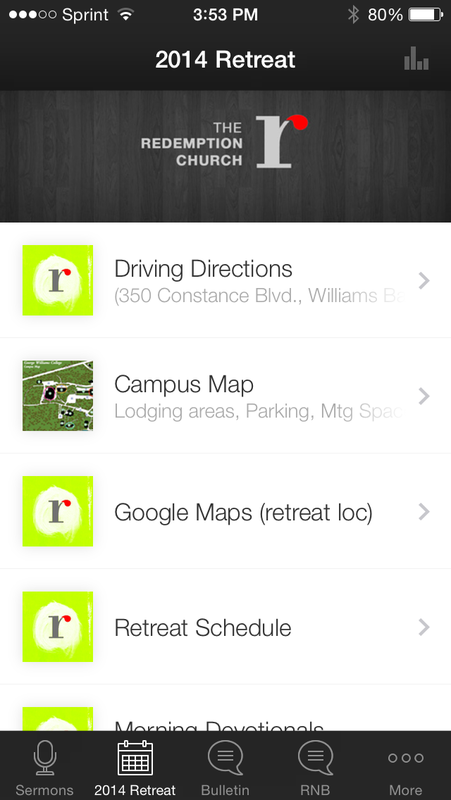 The Redemption Church app has been updated with the 2014 retreat information. Please find directions, map, speaker profile, morning devotions, etc by downloading the app on your iOS or Android device. 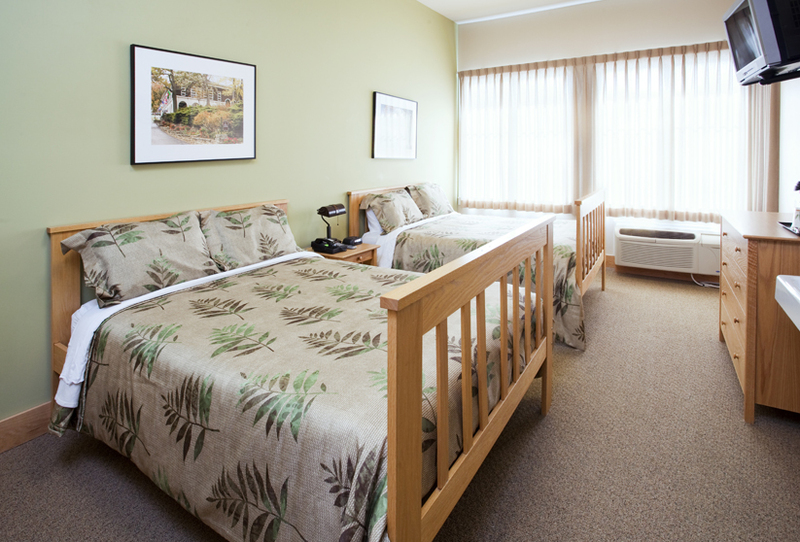 WHAT WILL BE PROVIDED BY THE RETREAT CENTER? We are so excited for the TRC retreat and the children’s program. The team working with your kids are myself (Judy), Lauren Ma, and Aileen Moon. Lauren is a first grade teacher at Canaan Academy, Aileen is working toward her ESL degree, and I am a previous pre-k teacher and current workshop coordinator for Fab Lab. 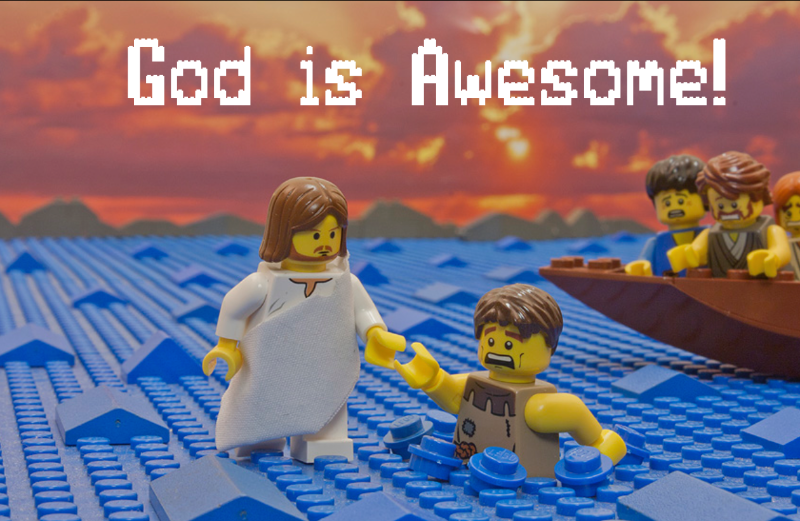 Our theme for the kids is “GOD IS AWESOME” (using The Lego Movie as our inspiration). Our goal is for the kids to have a memorable, enjoyable time as well as encountering God in a personal, age appropriate way. The activities will include mini messages, bible study, creative projects, and group games. The children’s schedule begins Friday (8:30-11pm). After the campers meet the teachers, we will be having a movie showing of The Lego Movie. Please pick up your child at their individual bedtime to tuck them in. The teachers will be monitoring the hallways until the end of adult snack time in case someone needs our attention. Saturday, drop-off will begin after breakfast and we will meet you for lunch in the cafeteria. Children will be eating with their parents. Parents are responsible for students during free-time (3-5:30pm). If there are any allergies, directions or concerns, please have them written for the teachers. 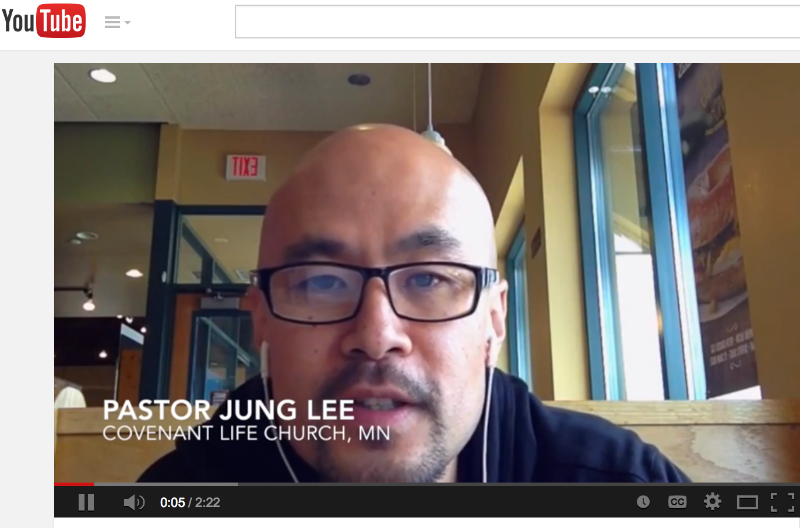 We leave you with Pastor Jung Lee’s hilariously blessing video.